François Truffaut once said that "Film lovers are sick people." He may have been on to something. 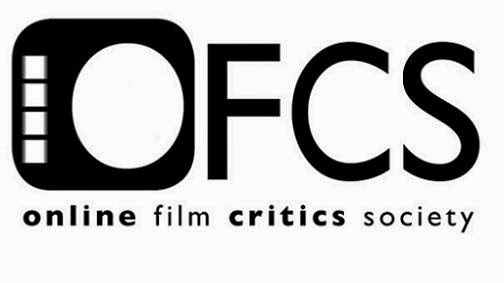 Over the last few weeks, I've been frantically trying to catch up on the best films of the year (and some of the worst which people mistakenly believe are the best) in order to vote in the Online Film Critics Society's (OFCS) annual awards. The nominations were announced last week, and today the names of the winners were released. Those winners can be found below, and I have also highlighted all of my 1st place choices in each category to see how well my choices lined up with the eventual winners (and because in previous years I forgot what my top choices were almost as soon as I made them). Spoilers: I was really in the tank for Fury Road, and so were many of my fellow critics, because we are shiny and chrome. Is it a place for film reviews and commentary, or just nonsense? You decide. The latest reviews and articles appear on the Home page, while complete archives of reviews, written for A Mighty Fine Blog and other outlets, can be found in the Archive. Alternatively, you could whisper your request into the knot of a tree and hope that I hear it some day, but we don't live in a Wong Kar-wai film, so e-mail is probably the way to go. That, or Twitter. Edwin Davies 2010-2015. Picture Window theme. Powered by Blogger.